When I heard Conor McGregor had accepted a fight with Nate Diaz at 170 pounds, I was less than convinced of the wisdom of such a move. Originally, McGregor was slated to go up against current UFC lightweight (155 pounds) champ, Rafeal Dos Anjos, but injury forced Dos Anjos to withdraw, and given the short two-week training window for Diaz, McGregor agreed to fight at 170 pounds – a full twenty-five pounds more than his own 145 pound featherweight division of which he is still the champ. That proved a fatal error, one comprised of far more hubris than sound fight preparation, and McGregor paid dearly for it. McGregor started his UFC bout with Nate Diaz in strong fashion, pelting the bigger Diaz with snapping punches that soon reduced Diaz’s face into a bloodied mess. Though McGregor took the first round easily on points, it was that same first round that was the genesis of his defeat. He hit Diaz, cut Diaz, and yet, unlike McGregor’s smaller featherweight opponents, Diaz absorbed those blows and kept on fighting. Within a minute into the second round, McGregor appeared both confused and winded. He had stepped up in weight, and was tired. That is a deadly combination in this sport and the Irish MMA fighter clearly realized he was in trouble. McGregor continued to score hits into Diaz’s face, but they lacked power, snap, and any real threat of rocking his larger opponent. The 170 pounds compromised McGregor’s most powerful attributes as a fighter, his legendary speed and endurance which in turn opened him up to being sapped of strength and then overpowered by a Diaz, who has fought at 170, is comfortable at 170, and proved it by winning at 170 against a fighter whose brashness was ultimately exposed as foolishness. Nate Diaz is not a superior fighter to McGregor, but he was the better fighter at 170 pounds. McGregor’s camp should never have accepted the 170 terms, but it did, likely motivated in large part by a fighter who had fallen prey to his own myth and hubris and did not enter the octagon with the element any fight requires – respect for one’s opponent. At 170 pounds, McGregor was both literally and figuratively, not hungry for this fight. There was no belt to be won, no real glory in defeating a somewhat middling fighter like Diaz, and McGregor’s approach in the ring mirrored that disinterest. Conor McGregor needs the process of cutting weight, to literally feel the burn and intensity of hunger again if he is to reestablish himself as the sport’s preeminent fighter and entertainer. It will be a compelling thing to watch how he reacts to such a stunning loss in front of the world. Some are made less by such defeat, while others return stronger for it. 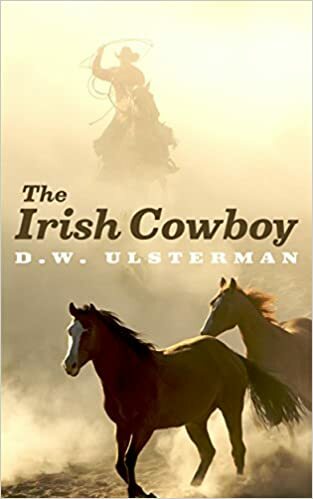 Many of Ulsterman’s personal interests are reflected in his works, including an unyielding love of America, politics, music, and helping to secure a better future for generations to come. The government wanted his land. He just wanted to be left alone.